This recipe is actually a combination of two recipes. One recipe is from Leading the Weigh called Mexican Crock Pot Chicken and the other recipe is from Recipezaar called Sour Cream Salsa Chicken for the Crock Pot. It wasn't too spicy and it was perfect for our taste. The sour cream makes the taste more milder. I just love those crock pot recipes that take no time at all to prepare and still remain nice and hot by the end of the day. We used low fat flour tortillas to make soft tacos. Spray liner of crock pot with vegetable spray. Add the chicken breasts on the bottom. Don't lay them on top of each other. Combine taco seasoning mix, chili powder, cumin powder, garlic powder, water and salsa in a small bowl. Pour on top of chicken. Cook on low for 6 to 8 hours. 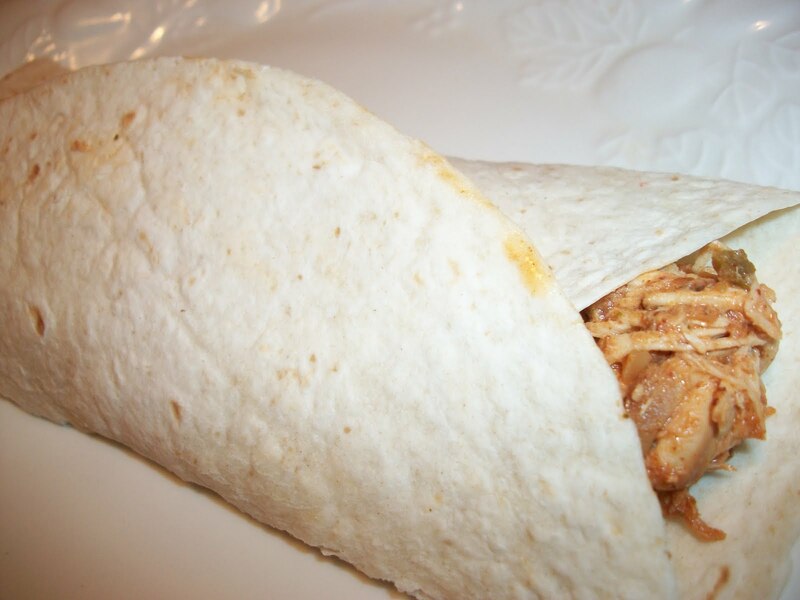 Shred chicken in crock pot and then stir in sour cream.